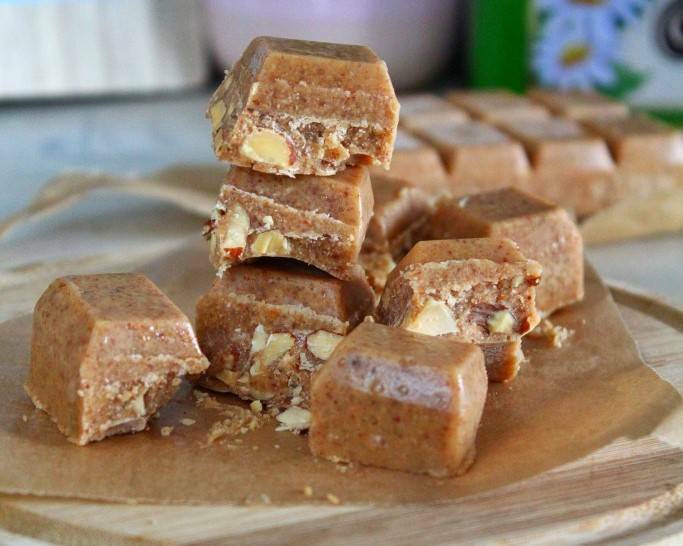 A recipe from Manon from Healthyfoodie Manon in which she has processed Greensweet Syrup Gold. Mix the almond paste with the Syrup Gold and the coconut oil in a pan. Warm slowly and stir well so that the coconut oil mixes well with the almond paste. Pour the mixture into a mold, spread the chopped almonds over it and put the mold in the freezer. After 3-4 hours remove the fudge from their shape and then store the fudge in a bag or container in the freezer. Let the fudge thaw something before you eat it, then he is the tastiest.